Collins Booksellers - Advancing Food Integrity by Gabriela Steier, 9781351395540. Buy this book online. The proliferation of Genetically Modified Organisms (GMOs) in our increasingly globalized food system is trivializing the inherent risks to a sustainable world. Responding to the realities of climate change, urbanization, and a GMO-dominated industrialized food system, Gabriela Steier's seminal work addresses the interrelationship of these cutting-edge topics within a scholarly, legal context. 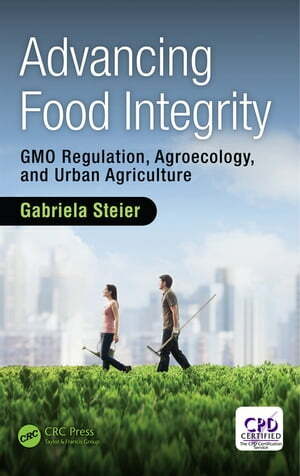 In Advancing Food Integrity: GMO Regulation, Agroecology, and Urban Agriculture, Steier defines food integrity as the optimal measure of environmental sustainability and climate change resilience combined with food safety, security, and sovereignty for the farm-to-fork production and distribution of any food product.